Full of mystery, good humor, characters, murder in a small town of Danger Cove. I know I don’t want to get my makeup done there except for Halloween. As if a fantastic mystery and zany, colorful characters are not enough, Traci shares recipes and how to get more involved with her and her books at the end. The story’s pace is well paced and Ms. Andrighetti’s writing style is easy to follow and her voice as an author is very enjoyable. Native Texan Cassidi Conti was expecting to face some obstacles when she moved to Danger Cove and opened The Clip and Sip, a hair salon that gives away free drinks. What she wasn’t counting on was a client dying during a dye job. But when eighty-year-old Margaret Appleby comes in for her biweekly appointment, that’s exactly what happens: Margaret drinks her usual soy chai, dozes off under the dryer…and doesn’t wake up. Now The Clip and Sip is under suspicion, clients are wary, and Cassidi is on a mission to prove that while her styles may be killer, her employees are innocent! But as Cassidi wades through the myriad of suspects in the small, costal town, the killer sets his sights straight on everyone’s favorite stylist. If Cassidi doesn’t watch her back, she may just end up Danger Cove’s latest fashionable victim. Cassidi Conti and her kooky sidekicks are on quite an adventure in this novel. The women certainly have a lot going on in their lives–starting up a new business venture, going to school, working other jobs, and solving a murder! The authors portray the characters in a realistic light. You feel like you are in the scenes with them, with the girls getting on your nerves as much as they get on Cassidi’s. As a “Jersey Italian” girl myself, I thought Gia was a bit too much for me–as she was a bit too much for Cassidi too. Amy is also annoying with her German sayings–kind of just like my German husband. (whoops, sorry, Honey). Like I said, very realistic. Other than the characters, the plot flowed nicely and with no foul language, no graphic violence, and just a touch of romance, this is a suitable read for teenagers as well as adults. If you light a light mystery with a little humor, crazy characters, and a little romance, check this one out! 4 stars. **Disclaimer: I received this book in exchange for an honest review. This did not influence my review in any way. 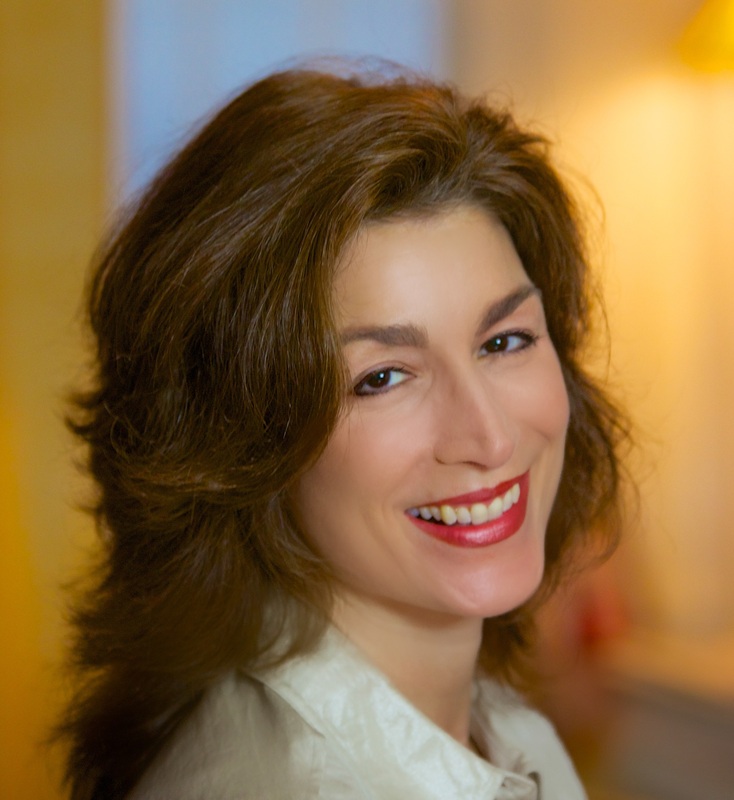 Traci Andrighetti is the national bestselling author of the Franki Amato mysteries and the Danger Cove Hair Salon mysteries. In her previous life, she was an award-winning literary translator and a Lecturer of Italian at the University of Texas at Austin, where she earned a PhD in Applied Linguistics. But then she got wise and ditched that academic stuff for a life of crime–writing, that is. 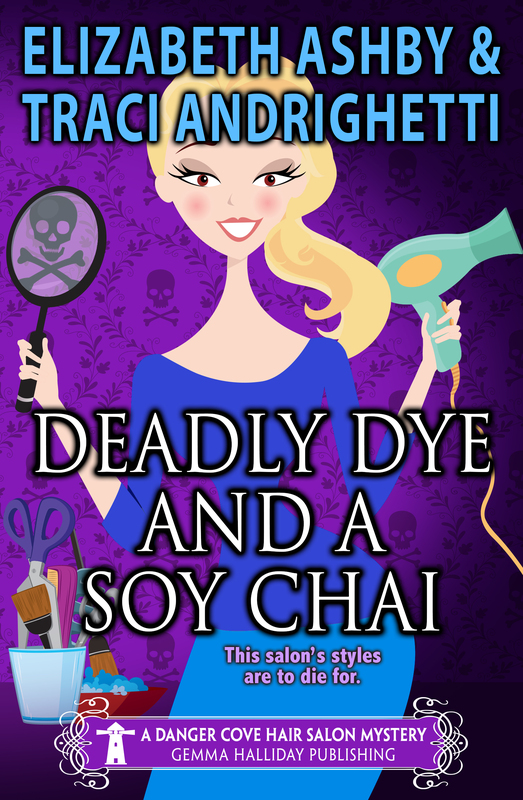 This entry was posted in Book Reviews, Book Tour, Giveaway and tagged Danger Cove Mysteries, Deadly Dye and Soy Chai, Elizabeth Ashby, Michele Lynn Seigfried, Traci Andrighetti. Bookmark the permalink. Thanks so much for the great review and for having me on your blog today! You are most welcome! Keep the books coming! I truly enjoy them! Hi Peggy! I saw Michael Connelly speak at the Writers’ Police Academy, and he said that he knows the last sentence of his books before he writes them. I know the last sentence too, and I know the characters. But lately, I’ve been letting the murderer reveal himself or herself to me as I write. It’s more fun that way! This sounds like such a cute series! I love the synopsis! Thanks for sharing! This sounds like it is going to be so much fun to read. The cover gives it that feel too. Major Crimes looks very nice too!